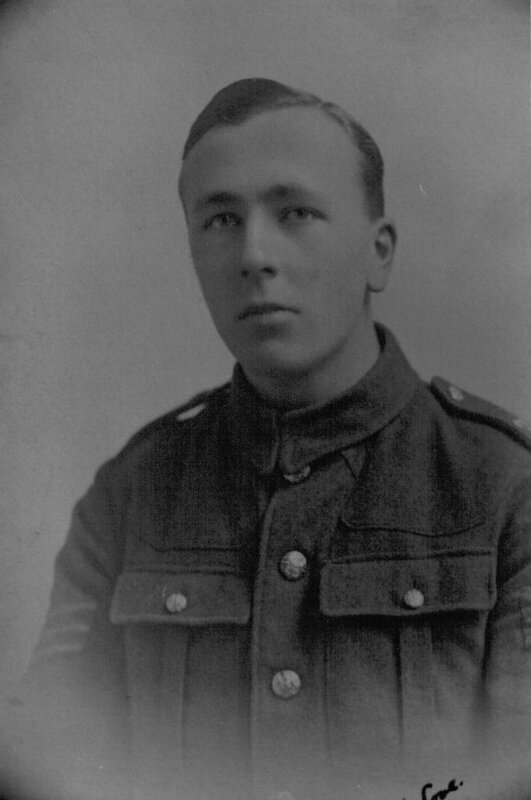 My grandfather, Charles Edward Alsbury, joined the Derbyshire Yeomanry. He was one of the draft of 185 men from 2/1st Derbyshire Yeomanry who joined 14th Bttn Durham Light Infantry in October 1916. My grandfather served with this battalion from October 1916 until 3rd December 1917 when he was taken Prisoner of War at Masnieres during the Battle of Cambrai. One of my grandfather's cousins, James Alsbury, served with the Royal Navy and was recalled for service during WW1. He was on the 'Good Hope' which was lost with all hands during the battle of Coronel in 1914. My grandfather was at this camp until February 1918. This was the camp to which my grandfather was transfered in February 1918. Along with other NCO's my grandfather spent time at this out camp from Schneidemuhl.